Check out the official music video for Lil Boosie‘s new single “Show The World” featuring Webbie and Kiara. 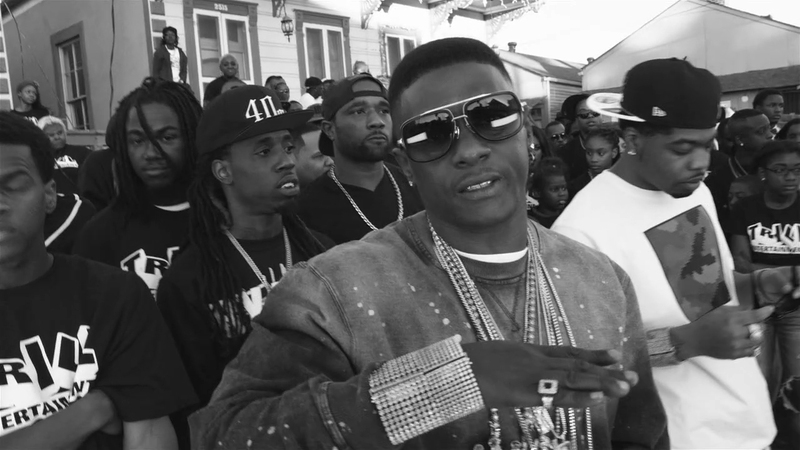 “Show The World” serves as Boosie’s first music video since his release from prison earlier last month. In the new black-and-while clip, Boosie takes us down to his hometown of Baton Rouge, LA, where we see the love and support from his friends and family while they celebrate his homecoming. We also see fans from all over the US coming out and showing their support in welcoming the Trill Ent. artists home from prison. Look out for more from Lil Boosie as he is in the studio working on a new mixtape and album, both expected to be released later this year.